This Armscor .38 Special ammunition is a great training option if you carry a revolver. Each cartridge in this case of 1,000 fires a heavy 158 grain full metal jacket bullet at a muzzle velocity of 900 feet per second. 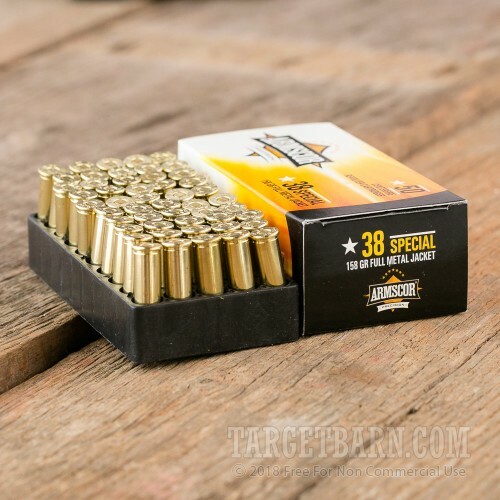 This makes it a relatively hot load for the .38 that will provide more recoil and realistic training that simulates full-power defensive ammunition. Armscor ammunition is loaded in both the USA and the Philippines with non-corrosive Boxer primers and reloadable brass cases. 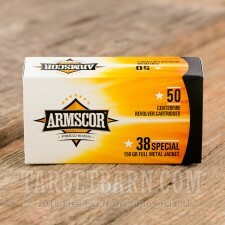 Q: I like this ammo for my new guns, but the 158 gr. 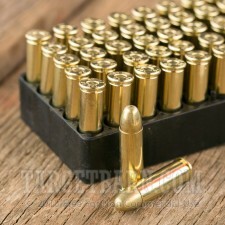 .38 special, FMJ round seems too hot to shoot in old guns. Does this specific round conform to SAAMI specifications?? A: Hi Michael. As long as your old gun is chambered for the .38 Special round, that Armscor will do just fine. The .38 isn't a particularly hot round at all, and many of those old pistols are pretty hardy anyway. This is loaded to SAAMI specifications.